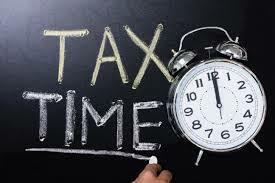 If you haven’t filed your 2018 taxes yet, April 1st means the deadline is fast approaching. If you’ve been doing your taxes yourself, you’ll need to be aware of some major changes affecting homeowners, and particularly those who have moved and/or made property purchases in the past year. The mortgage interest tax deduction is a tax break for homeowners that reduces their taxable income by the amount of mortgage interest they pay. Beginning in 2018, the deduction was scaled back to interest on debt up to $750,000 for married couples filing jointly, instead of the $1 million limit that was previously in place. If you are single or married filing separately, the ceiling is now $375,000. The new tax law consolidates home equity loans into this total, and these loans have to be specifically used for “home improvements” in order to be deductible. Beginning in 2018, the standard deduction for married filing jointly increased to $24,000. In 2017, if you were married filing jointly and you had paid $15,000 in mortgage interest and property taxes, you may have itemized those deductions because they exceeded the standard deduction of $12,700. With the increase in the standard deduction, you would no longer need to itemize. This is a big change, but whether it is good or bad for your bottom line will depend heavily on your specific situation. The property tax deduction allows homeowners reduce their taxable income by the total amount of property taxes they paid. Beginning in 2018, the deduction has been limited to a total of $10,000 for the cost of property taxes, for those filing jointly. File single or separately and the limit is $5,000. Previously many of the expenses incurred when moving were tax deductible, such as boxes, moving trucks and even professional moving services. This has changed for your 2018 taxes, so that only active military personnel are allowed to deduct their moving expenses, and even then it is only allowed if they are moving due to military relocation. Read on for more tax tips for homeowners!